Our daylong, intensive and interactive workshops are designed to provide structure, stability, and accountability to your social media and content marketing programs while aligning your efforts to the outcomes that matter most for your organization. Whether your brand is just starting out, slowly making its way, or stuck in neutral, our Boot Camps can get you and your team in gear. Currently, we have three (3) workshops in the series — Digital Strategy, Social Media, and Content Marketing — that can be configured in half-day, full-day, and two day formats. 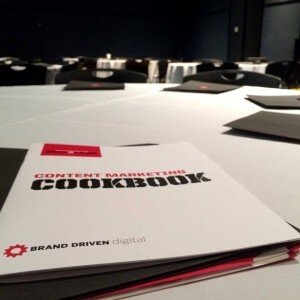 Both are led by Brand Driven Digital’s Chief Brand Strategist Nick Westergaard and include workbook materials for each attendee. Contact us now for more information. It’s hard to keep up with the rapidly changing digital marketing landscape. That’s why it’s more important than ever to have a solid strategy in place for building your brand online and off. 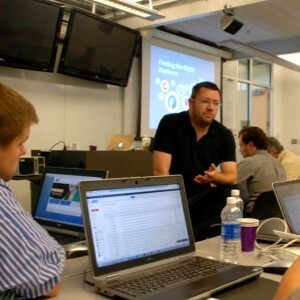 Our Digital Strategy Boot Camp provides you with a system for reinventing your marketing as marketing reinvents itself. The best part? You leave this daylong workshop with a digital strategy you can take back and share with your team. Like an intensive “boot camp” training, Social Media Boot Camp provides a rigorous and dynamic day of learning featuring a mix of master class lectures and interactive discussion periods where you and your team can work through the core components of developing a social media marketing plan. All participants also receive a social strategy workbook with key take-aways and formulas for success. We’ve taken these workshops throughout the Midwest working with brands of all shapes and sizes, across various industry sectors. To make our next stop your conference room or business retreat, contact us now. Keep in mind, to send just one team member to a social media conference can cost as much as $1,500 or more once you factor in travel. What happens when you want to send more than one? Not to mention the fact that these individuals usually miss 3-4 days of work as well. Our on-site Boot Camps flip the funnel the other way by providing you with training from the comfort of your offices for as many team members as you want to include. Whether you chose to structure the event as a day-long intensive or spread across two half days, you not only get a more personalized workshop tailored around your industry, you do so with a minimal impact on your budget. Our Daylong On-Site Boot Camp requires an investment of $6,000 plus travel. When you factor in the personalized attention your team receives as well as workbook materials for all attendees, this event is a high-value solution for taking your organization’s social media marketing to the next level. Please contact us for half-day and two-day rates. Are You Ready to Get Your Marketing in Gear? 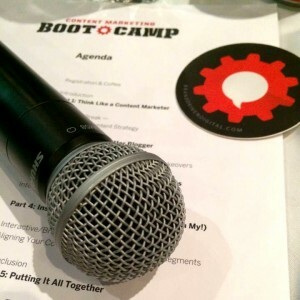 Contact us to learn more about bringing a Brand Driven Boot Camp to your organization.